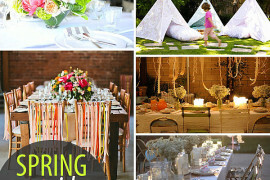 I don’t know about you, but the promise of warmer weather and new blooms has put me in the mood to throw a spring party! I’m a big fan of that realm where entertaining meets art, which is why I love blogging about unique party ideas. Today I’ve rounded up a collection of gorgeous images featuring the latest decor, food and favor inspiration for your next gathering. 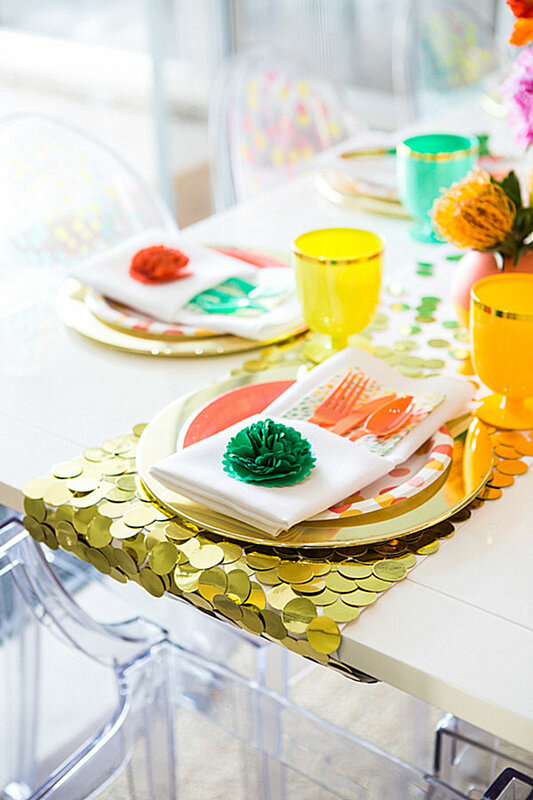 While I’ve spent quite a bit of time in 2014 highlighting the power of pastels, I was interested to find that today’s top spring party ideas are bursting with color, often bright ones. Don’t assume that rainbow hues are only reserved for summer. Be radiant, just like the blooming outdoors at this time of the year! Marble patterns are all the rage this season. 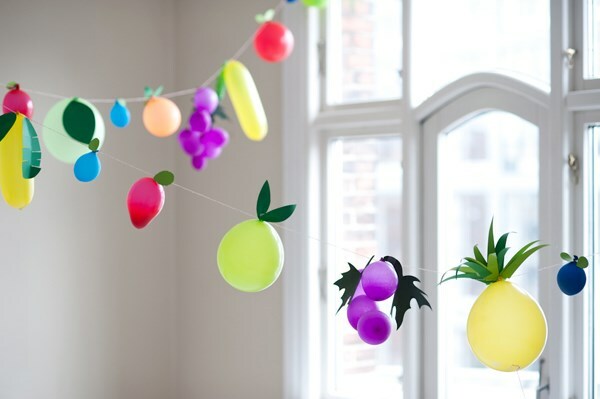 Throw a party that’s perfectly on trend with this Marbled Paper Garland hanging from the ceiling. What’s the key to getting that marbled effect? Pouring nail polish into water! Head on over to A Subtle Revelry for a full tutorial. 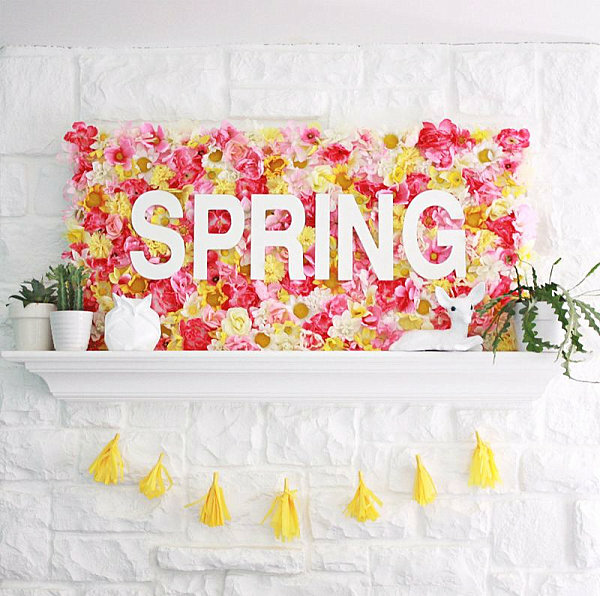 Faux flowers and wooden letters go a long way when you use them (and a few other key supplies) to craft this Spring Wallflowers Sign featured at A Beautiful Mess. Now is the time to be bold in your proclamation of love for the new season. This sign makes the perfect spring party decoration, especially when placed on the mantel. Have you seen the Oh Joy! 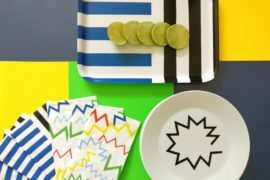 for Target Collection, designed by blogger Joy Cho?! It’s amazingly vivid, featuring colors such as yellow, orange and teal. 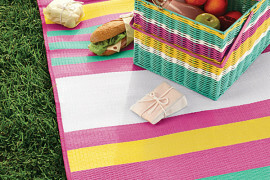 Below we see some key pieces from the collection, as well as this easy-to-craft Confetti Table Runner. Oh Joy Confetti Dots, Glue Dots and butcher paper get the job done. 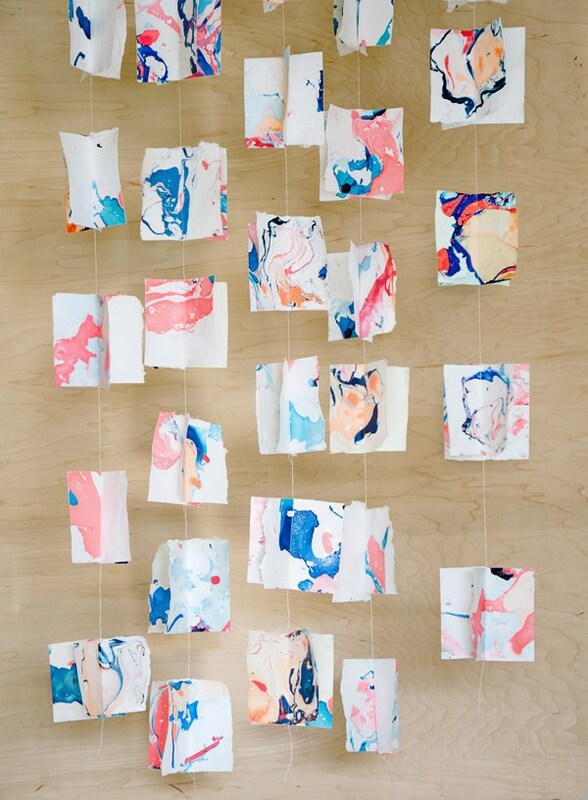 Read about the process at Oh Joy! 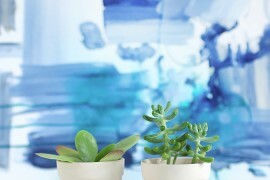 As mentioned above, blogger Joy Cho has designed a gorgeous spring collection for Target. 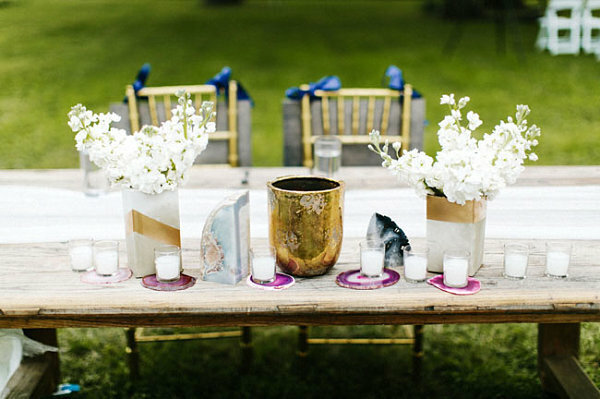 She recently debuted this collection at a garden party that featured some stunning decor and delectable treats. Which brings us to our next spring party topic: the food. This fete featured plenty of fresh, colorful edibles that were presented in style. 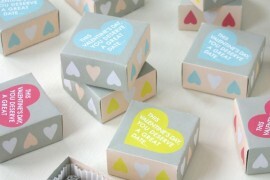 Check out more fabulous pics and a video at Oh Joy! With new flowers and produce sprouting up all over, now is the time to celebrate nature’s refreshing bounty. 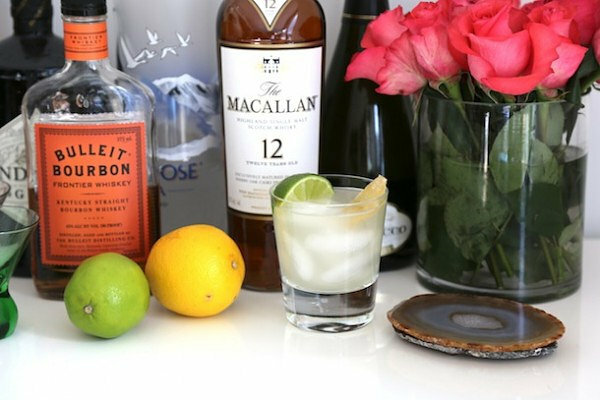 Don’t hold back on delicious ingredients for the drinks, such as lemon and lime juice. Do you like what you see below? This image features some party details from the entertaining files of The New Potato, including a delicious recipe for the Moscow Mule. For more information, head on over to Camille Styles. 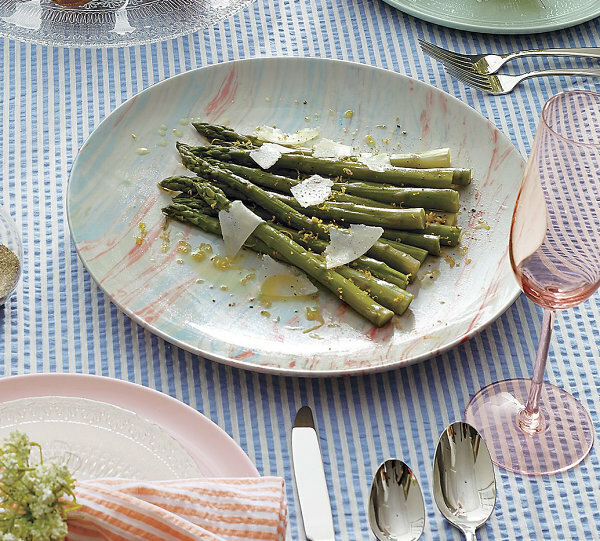 Keep the fresh food vibe going with tasty sides, such as roasted asparagus with lemon zest. I’m loving the marbleized Whirl Platter from Crate & Barrel, shown below. The swirling effect on this serveware is achieved by a multi-step glazing process. 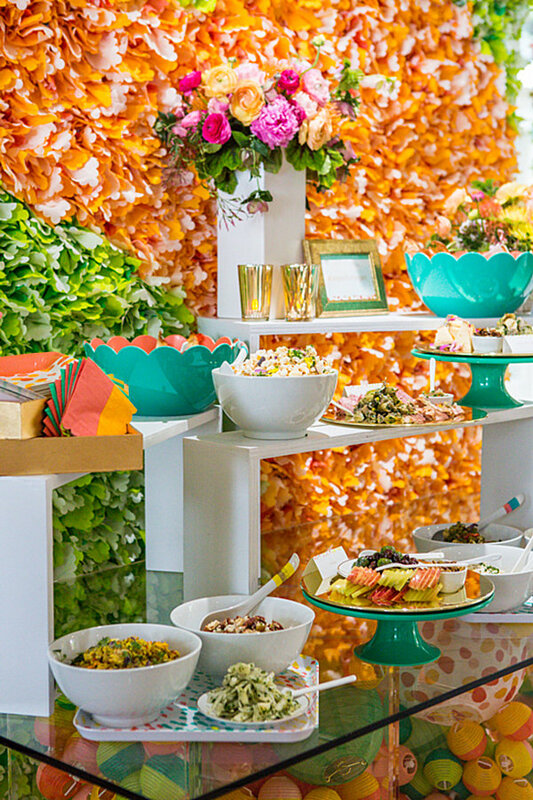 This last fabulous party food idea comes from a photo shoot preview featured at Design Love Fest. 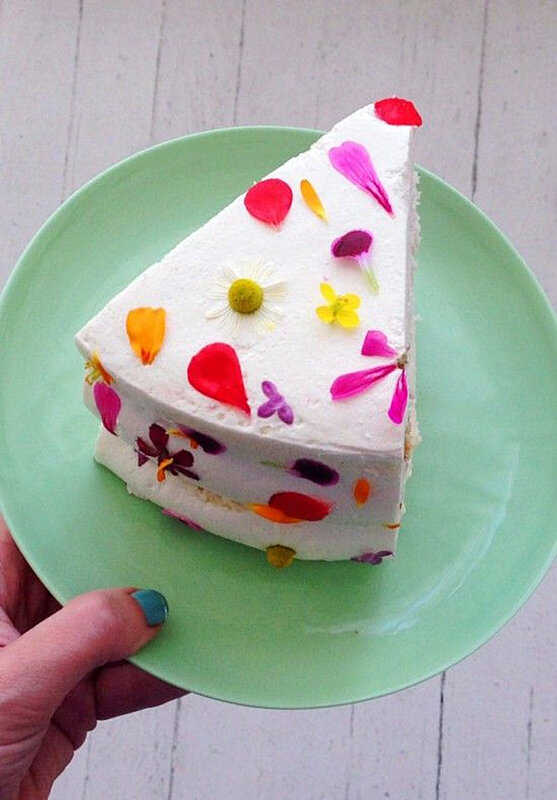 The edible flowers on the cake below make all the difference, don’t you think?! Not to mention, they scream “Spring”!!! 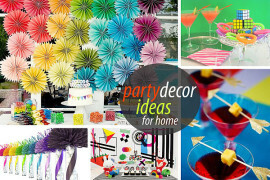 I’ll wrap up today’s post by featuring a few spring party favor ideas that will only add to the festivity. This Rainbow Necklace tutorial was originally designed for St. Patrick’s Day purposes, but we think the idea would be perfect for a party activity that becomes the party favor. 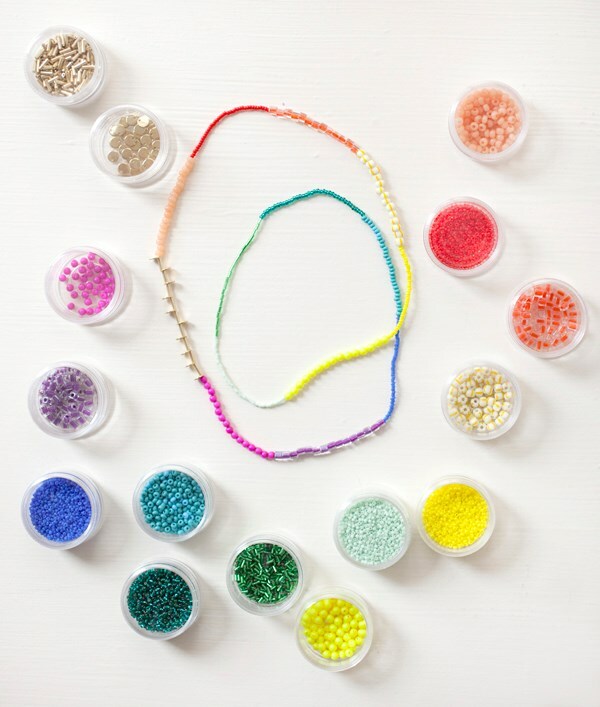 Each guest could create a necklace featuring different shapes and sizes of beads. 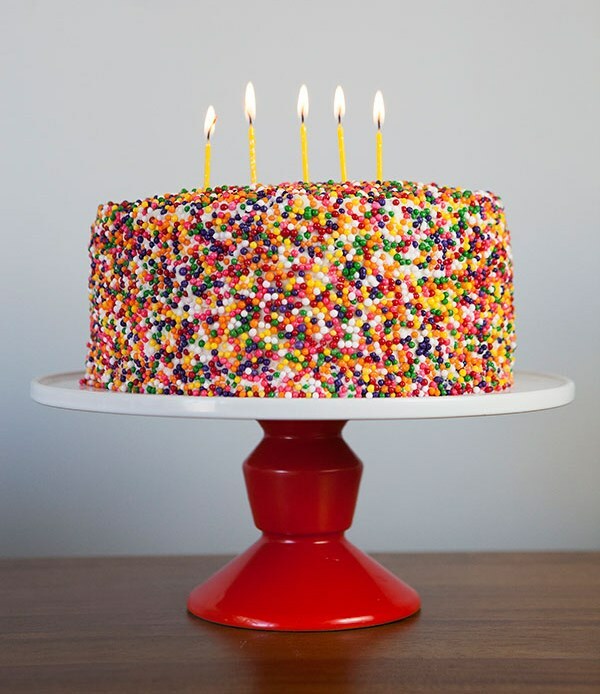 Perfect for a craft party, a teen’s birthday gathering and more! 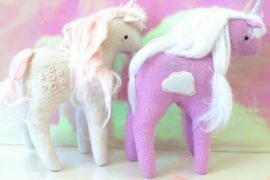 Check out the full tutorial at Oh Happy Day. 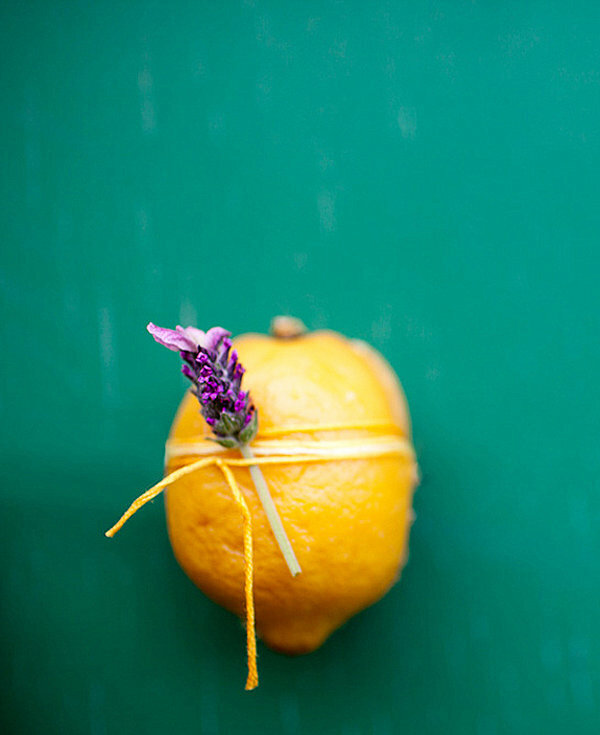 How beautiful is this next image featuring a lemonade cake baked into a lemon and garnished with a sprig of lavender?! In fact, it’s so pretty that if you don’t feel like baking, you could simply decorate a batch of lemons for a party centerpiece and hand the embellished produce to each guest as he or she leaves. 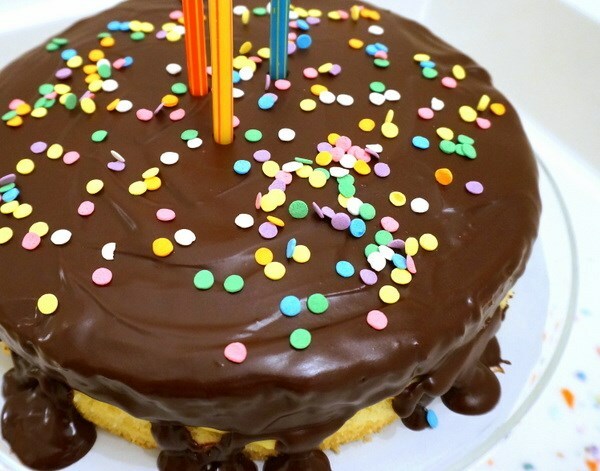 The recipe and more great pics can be found at A Subtle Revelry. 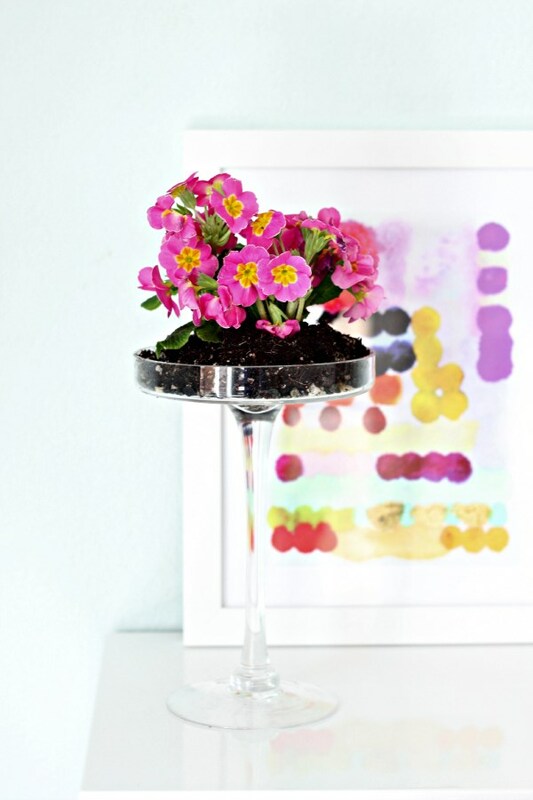 Also from A Subtle Revelry is this Colored Sand DIY, which will take your party centerpieces to a new level. It’s amazing what some food coloring and sand from the beach (or the craft store) can do! 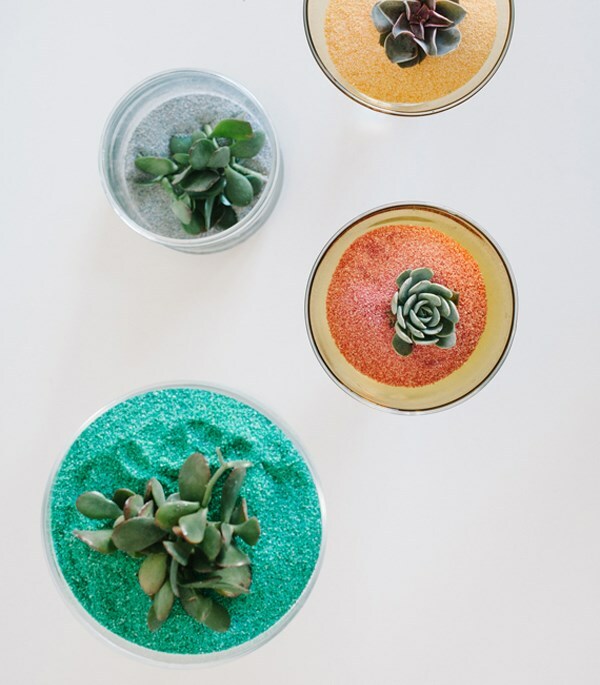 Fill affordable containers with the sand, add a succulent, and let guests grab one of these eye-catching favors at the end of the night. 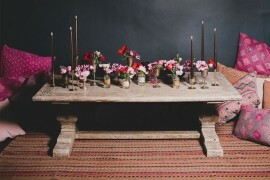 Your centerpiece becomes a collection of gifts for the taking! 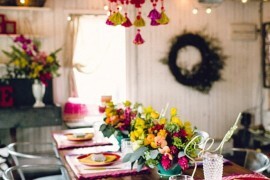 I can’t wait to host a spring gathering complete with c0lorful decor, fresh food and eye-catching favors for my guests. I hope you found some inspiration in today’s post as well! Happy Spring!